We’ve decided it’s time to kick-off the summer patio entertainment schedule and we want to do it in style. Third Street Border Grill and Blackrocks Brewery are teaming up for a Take-Over. This isn’t your typical Tap Take-Over… this is a Restaurant Take-Over. To honor the rebellious spirit of our Third Street Crew and Blackrocks Brewery we’ve dubbed the Take-Over a REB3LUTION!!! Street Tacos. Beer Battered Fish Tacos. Border Nachos. Third Street will be serving items from their new menu along with a few surprises when the party starts at 6:00PM. The menu will be available at our Washington Street location one night only! When the REB3LUTION ends you’ll have to visit Third Street. Blackrocks Brewery will be taking over the Patio and serving draft beer from 6:00-9:30PM while Frank N Da Beanz jam into the night. Rumor has it Honey Lav will make an appearance along with 51K and a third tap we can’t reveal until that night. Not to be lost in all of the good food, beer and entertainment: We’ll be donating a portion of the proceeds from the evening to NTN Singletrack and R.A.M.B.A. (Range Mountain Bike Club). Both organizations are volunteer driven and work tirelessly to provide silent sport enthusiasts the best trails in the Midwest. We look at this evening as an opportunity for us to show our support for a community of individuals helping to put Marquette on the national map. Our donation will be used for trail maintenance and development throughout the year. So to summarize: Third Street Rebels will be taking over our Washington Street location May 26th. Frank N Da Beanz crank out the tunes all night while Third Street BG dishes street tacos and Blackrocks pours the beer. The result of the party? We make a donation to your favorite trail organizations. 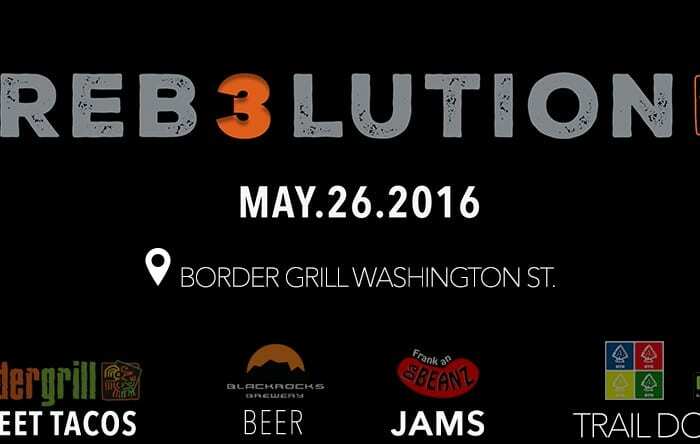 Get ready for the REB3LUTION.